Scientists have developed a new drug that gives you the appearance of having a nice, even suntan — without even having to step foot outside or in a tanning bed. In an effort to combat skin damage from sun exposure — namely Melanoma, the leading skin cancer that claims one life an hour in the US alone — researchers from Massachusetts General Hospital have created a drug that stimulates the production of melanin – the skin’s natural defense against UV rays that darkens to protect it – so the tan is real and not painted or sprayed on. 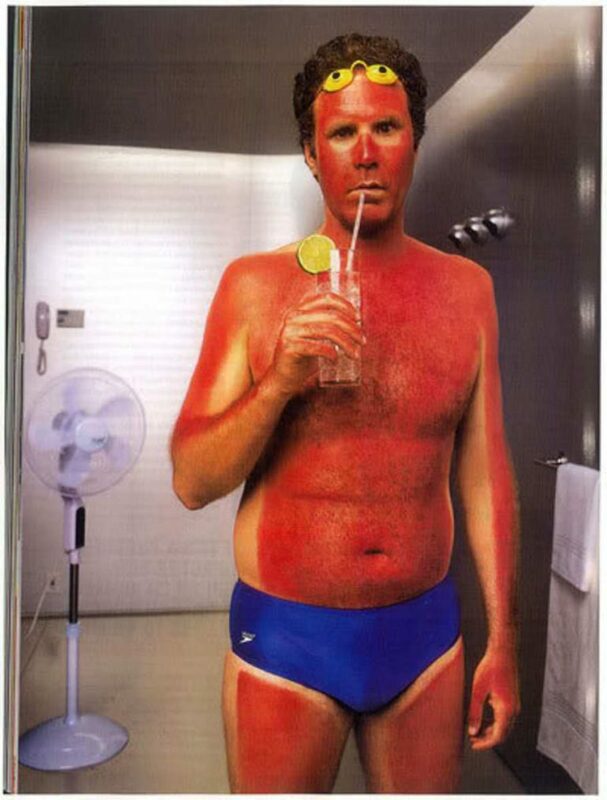 While spray tans and fake tans look great, they don’t offer any actual protection against the sun. This may soon change as early studies of the drug have yielded exciting developments for skin care proving that the melanin produced following treatment successfully protects against UV rays. The team hopes that their breakthrough, reported in the journal Cell Reports, will mean a reduction in the negative effects of UV radiation, from liver spots and premature aging to skin cancer. Under UV rays the skin naturally protects itself against harm by initiating a chemical reaction that produces melanin (the pigment that gives hair, skin, and eyes a dark coloring). This is why people that live in warmer, sunnier climates often have darker skin and hair than those hailing from colder regions. The drug is applied in the form of creme onto the skin to stimulate the melanin process. To date, it has only been tested on mice and skin samples, BUT, the results are not only promising, they even suggest it could be effective on redheads — a hair color / pale complexion that derives from a genetic mutation that prevents the skin from producing melanin! On average, a person’s risk of developing melanoma is doubled once they’ve had more than five sunburns, and a staggering 1 in 5 Americans will develop skin cancer in their lifetime. Each year in the US, there are more new cases of skin cancer diagnosed than breast, prostate, lung, and colon cancers combined. The risk is not worth the reward. Each year, more than 419,000 skin cancer cases in the US are linked to indoor tanning. People who have used tanning beds 10 or more times have increased their risk of developing melanoma by 34% compared to those who have never used tanning beds. Ultimately, researchers hope to combine their drug with sunscreen for maximum protection against the sun. Until then, daily use of SPF15 or higher reduces your risk of developing melanoma by 50%. So, lather up!